These elite gloves are perfectly engineered for sparring and bag training, and all martial arts fighters can agree that they are the finest choice among sparring gloves that anyone could ever choose. As respected as these gloves are, some find the tight fitting design to be somewhat cramped and uncomfortable. While this is the case with some, others praise the lack of shift in the Kanpekis and do not mind the snugness. Unlike other leather gloves, the quality craftmanship in the Kanpeki Elite 2.0 gloves gives them ultimate breathability, so they stay dry during long sparring sessions. The sheer power in Kanpeki Elite 2.0's allows fighters to punch with greater force than any other glove on the market and still provide ultimate comfort and wrist support. 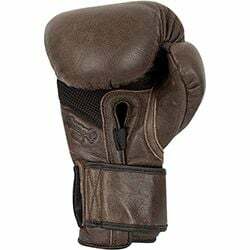 Though some reviews praise the stiff leather design, others find it inconvenient, as the gloves must be broken in over the course of several sparring sessions. Though this may sound inconvenient, they break in relatively quickly after only several uses. After being broken in, the comfort Kanpekis provide is described by fighters as "like fighting with pillows on". Stylish, powerful, durable and comfortable, you can't go wrong with the Hayabusa Kanpeki Elite 2.0 boxing gloves. 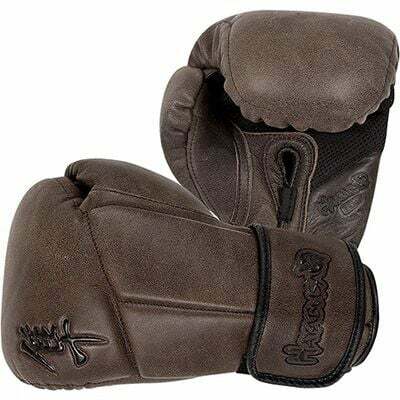 The real leather, smart-fitting technology, breathability and overall vintage look of the gloves makes them as much a novelty item as they are a top of the line pair of professional MMA and boxing gloves. 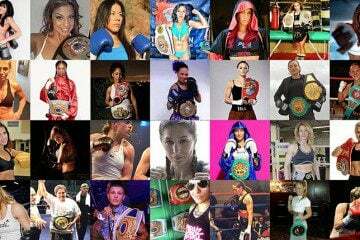 Fighters with money to spend should put the Hayabusa Kanpeki Elite 2.0 Boxing Gloves at the top of their wish lists. Much can be said about the legendary reputation of Hayabusa and their line of MMA fighting products. 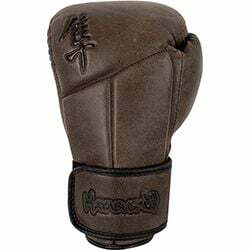 You’ll often hear mention of Hayabusa as the one of the best suppliers of martial arts equipment in the world, and the Kanpeki Elite gloves are a prime example. With a high volume of supporters and a reputation for quality handcrafted leather, longevity and comfort, Hayabusa and their incredible products aren’t going away anytime soon. At a price of just around $150.00, top level quality doesn’t come cheap. Hayabusa Kanpeki Elite 2.0 Gloves are no mere bag glove, as they are in-fact one of the most sought after gloves in the world. Any fighter looking for the ultimate choice in gloves for sparring and bag training need look no further, as it doesn’t get any better than the Kanpekis. Hand-crafted by artisans with 100% full grain high quality leather, Kanpeki gloves are as beautiful as they are functional. With that classic boxing glove style and the sharply embossed Hayabusa logo on the front, these gloves make it no secret that they’re manufactured by one of the finest glove providers in the world. Outfitted with the Patented Dual-XTM anti-shifting technology, fighters will experience absolutely no shift and a perfect fit while sparring and bag training. Forget the wrist-wraps, the Kanpekis are designed with fusion splinting that gives an incredible amount of wrist support that is nearly as effective as using wrist wraps and doesn’t sacrifice any of the striking power. Speaking of power, the Deltra-EG technology built into the glove further enhance hitting power to give strikes more of a “Pop”, making the glove even more effective and equally as intimidating.